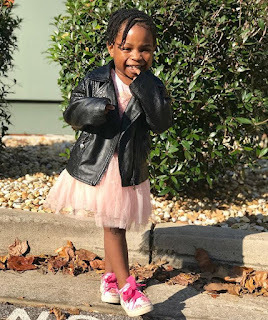 Sophia Momodu took to her IG page to celebrate her daughter, Imade with Davido and also expressed love for her. "You said good morning mummy today with your beautiful smile & it warmed my heart so much! We have bonded alot on our trip out here it’s so cray! (our first time alone together no grandma, no nannies, no aunties jst me & you). Ive grown a lot & so have you. I’ve been told that I’m always so upbeat & lit lol how can I be sad? Imade is such a ray of sunshine I’m so in love with her. #ImadeAppreciationDay"